New Boots!! And oh how I love them. I've been desperately needing new boots this year. I do so much more walking now that I have Sam and last years boots just weren't cutting it. So as soon as I saw these I had to have them. 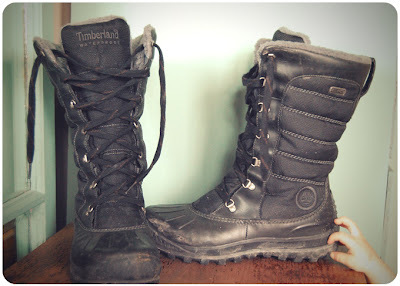 Warm, comfy and best of all waterproof!! They also have great traction, which is nice when you're pushing an SUV size stroller through the snow. But even though I have nice, new boots I just can't seem to part with the old boots. 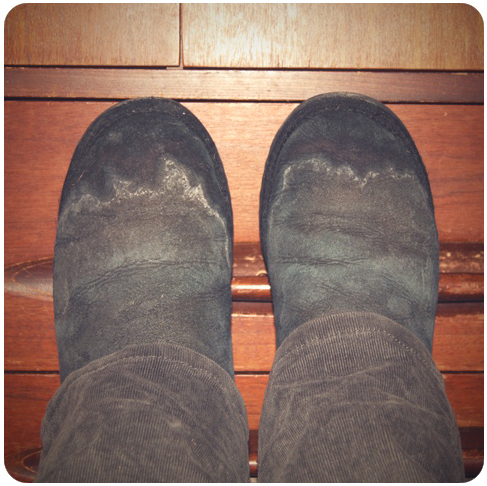 There's just something about Uggs that make them so damn comfy...even though it looks like I'm wearing two burnt loaves of bread on my feet. 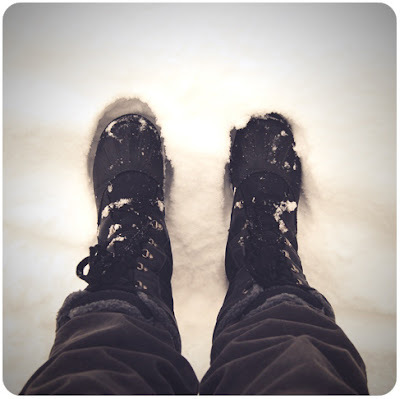 So thank you Mom and Dad for the warm, dry feet and one of the best Christmas gifts ever!